With our Underwater Adventures 1 Day Package, you can discover the underwater world of Mauritius and at the same time experience a selection of unique activities and adventures. 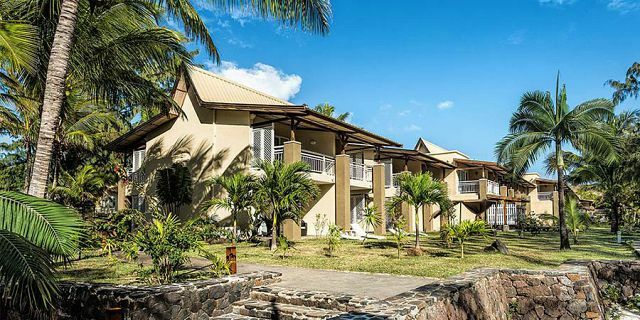 Cotton Bay Hotel will charm you with its bungalow styled accommodations, overlooking the sparkling white sandy beach of the Pointe Cotton Lagoon for a completely stress free vacation. 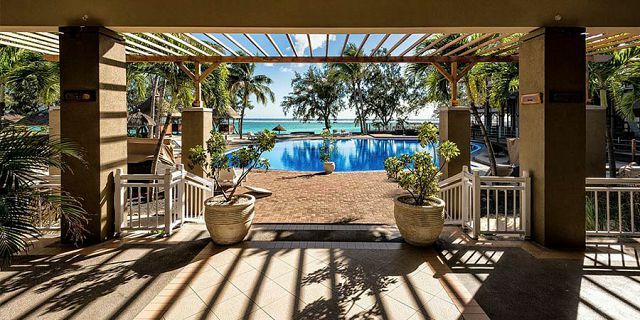 Set in a peaceful environment of the tropical island of Rodrigues, The Cotton Bay hotel invites you to escape to the peace of Rodrigues Island, all while enjoying the comforts of the modern world. 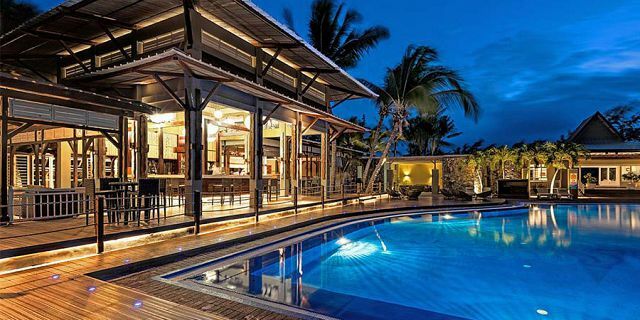 The resort is built according to international standards and is considered as one of the best hotels in Rodrigues. 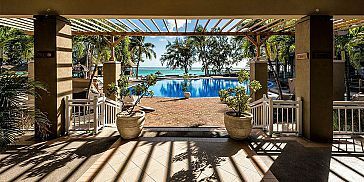 Stay at the Cotton Bay Hotel and get charmed by the bungalow styled accommodation, featuring the Superior and Deluxe Rooms, along with the exquisite suites, and villas. The comfortable accommodation comes with room amenities such as air-conditioning, ceiling fan, mini bar, telephone, music system, TV and satellites channels, hair-dryer, safe, and private bathroom with shower and toilet. 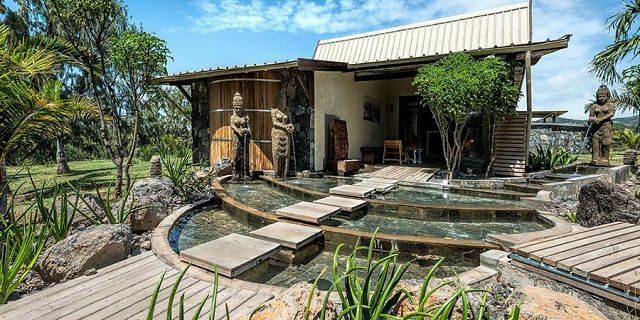 Relax and let go in an incredible setting surrounding you. 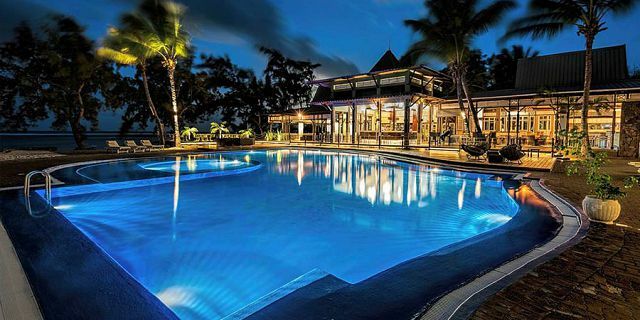 Take the opportunity to taste Cotton Bay Resort’s typical scrumptious Rodriguan dishes at the restaurant where you may enjoy fresh seafood, steaks, and international cuisine. In the evening, you can choose to relax while enjoying an exotic cocktail with live entertainment at the open-air lounge. The hotel is also home to the Cotton Dive Centre where both amateur and experienced scuba diver alike may encounter the pristine coral reefs of Rodrigues with the diving professionals. 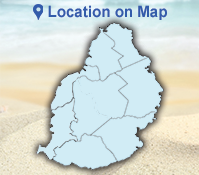 Hiking, windsurfing, sea kayaking, and snorkelling are also at your disposal for those seeking a more active holiday. 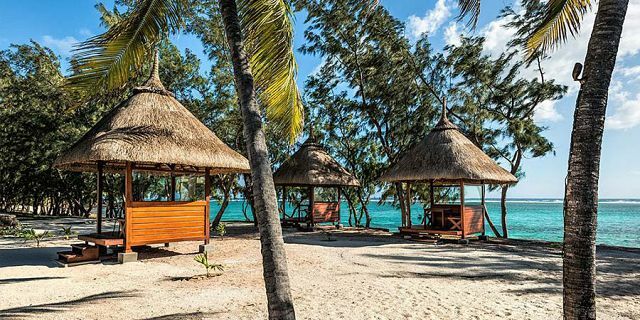 Enjoy the ultimate holiday package to Rodrigues Island; ideal for those looking forward to few days of relaxation unveiling the virgin beauty of Rodrigues Island. 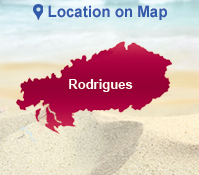 Arrive in Rodrigues and be greeted by our local contact person who will already be there waiting for you. After a warm welcome from our fellow-man, your luggage will be taken care of and you will be on your way to The Cotton Bay Resort. One child from 0 to 11 years stays free of charge when sharing parent’s room. In case of 2 children or more, a separate room is to be booked for the children. The rate for such room will be discounted as per the exact number of children and their ages. The All Inclusive Package Includes: Lunch, Tea Or Coffee (15hr30 16hr30 A), Pancakes (15hr30 - 16hr30), Local Beverages, Beers, Wines and Cocktails (Alcoholic And Non-alcoholic) Soft Drinks, Juices and Mineral Water. 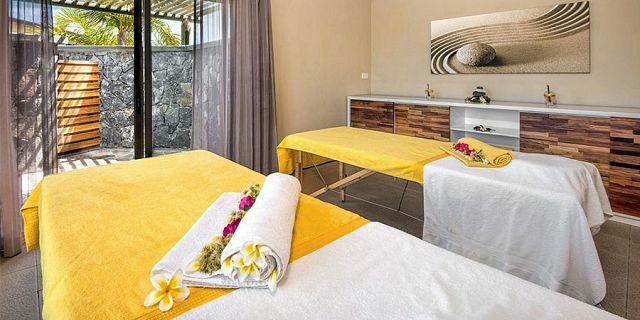 Honeymoon Couple, will benefit a 25% discount on the above prices, when staying a minimum of 4 nights. Honeymoon couple will also get special gift package including: T-shirt / A bottle of sparkling wine / fruit or cookies platter / candlelight dinner. Offer valid within maximum of 9 months since the wedding date. 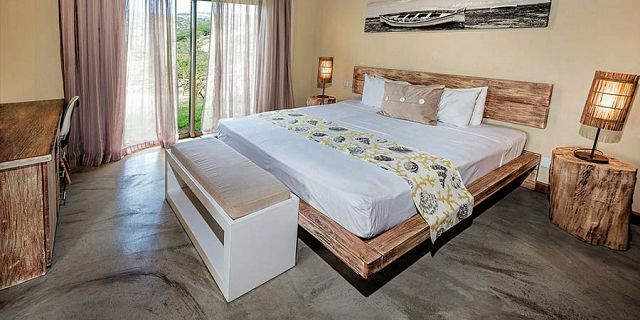 The Superior rooms are found on the ground floor with a terrace or balcony for the room on the first floor of the bungalow style building. Appreciate the sea view and direct beach access while staying in one of the superior room. Larger than the Superior Rooms, the Deluxe Rooms also have their own bathroom with a bathtub and a separate shower. Balcony or terrace, it gives direct access to the beach and sea view. The two private & independent Suites are situated in detached bungalows to ensure additional privacy for in-house guests. They have a private access and a small parking area. 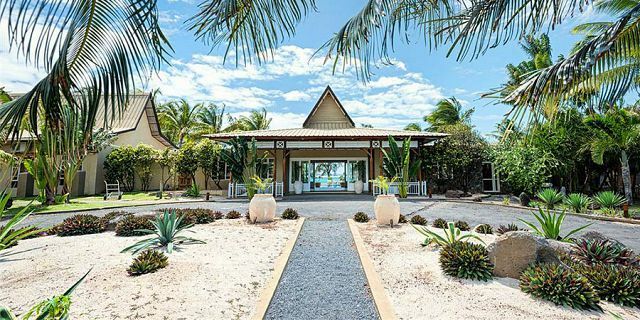 The Family Villa is ideal for unforgettable holidays with family. The villa features a living room, a flat screen television, an integrated kitchen, one bedroom with beds, a shower and toilets. 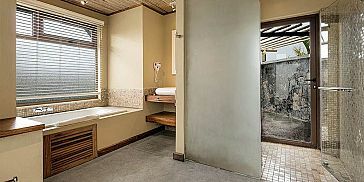 The main room also possesses a television, a bathroom with toilets, shower and bathtub. Pool table, baby foot, and table tennis. 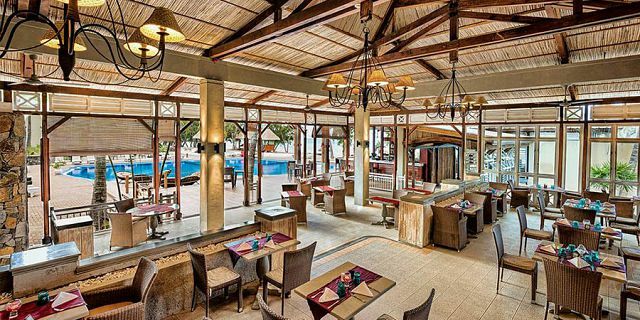 The main hotel restaurant provides a local ‘Rodrigues’ touch to the cooking and international cuisine: American breakfast, lunch ‘à la carte menu’ & snack service and dinner buffets- themed menu or ‘à la carte’. 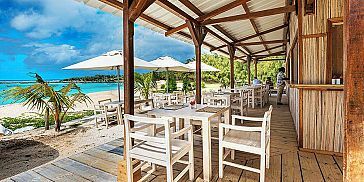 In addition to the half-board basis, the all-inclusive package includes also 2-course meal lunch, afternoon tea/coffee and pancakes (from 15:30 to 16:30). 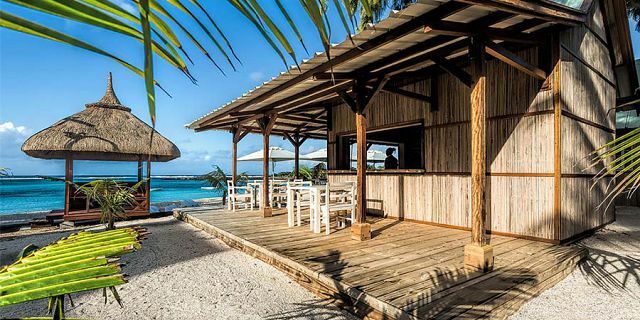 Local brand alcohol, local beers, house wine and two cocktails (alcoholic or non-alcoholic), soft drinks, fruit juices and mineral water (from 11:00 to 11:00).